Google chrome is one of the most popular internet browsers exists that supports multidevice and multi-OS. This is an open sourced browser with many cool and amazing features. Today I have gathered myself some tips and tricks to use google chrome like a pro using some of the google chrome’s inbuilt features. Startup pages are those which opens automatically just after the opening of the browser. We can actually choose our startup pages in google chrome browser. The main advantage of this feature is that you can set favourite pages to open automatically without having to open manually(click/type). To customize this feature goto google chrome setting in your browser. Click on that Three Dots menu on top right-corner, you will see the setting option there. Open a Specific page or set of pages. Choose this option and you will be able to set your favourite pages as startup pages in your google chrome browser. Choose this option when you want to continue your browsing just from the point where you have left before. Create a desktop shortcut for any page. Using this feature we can easily send shortcut of our favourite and important pages to the desktop for future use. To use this feature, from the page which you want to send to desktop, goto that three-dotted menu, hover on more option then you will see this Add to Desktop option. Click on it. Click on Add as in the following picture then, a shortcut of the page will be automatically added to your desktop. Enable Autofill For forms and Passwords. 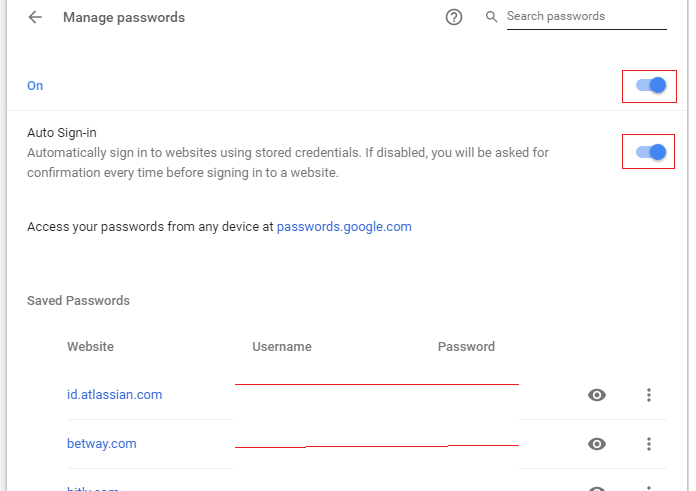 This is another cool feature of google chrome which gives us the ability to fill forms and passwords automatically and save lots of our time.I personally love this feature. 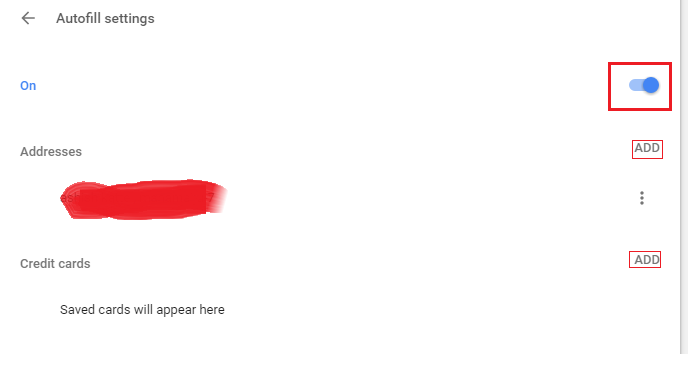 To enable this feature, again goto google chrome setting. Scroll down to bottom and you will see this advance tab there. Click on this advanced tab to view more advanced setting options for google chrome. Find Passwords and Forms section as below. Now click on that Autofill setting. You can manually add information for forms here by clicking on those add buttons. Or you can just leave them for now because google chrome will automatically detect and save them from your future activities on the browser. You can manage your saved password in future from this Manage Passwords option under Passwords and Forms. Google chrome has another awesome inbuilt feature as Task Manager which is much similar to that of windows machine. Using this feature you can take bird eye view of your browsers, such as memory usage, CPU usage, network activity, in-depth view of opened tabs and extensions. To access task manager again goto more tools option and click on Task Manager.Or Simply pressing Shift+Esc keys on chrome will open Task Manager. 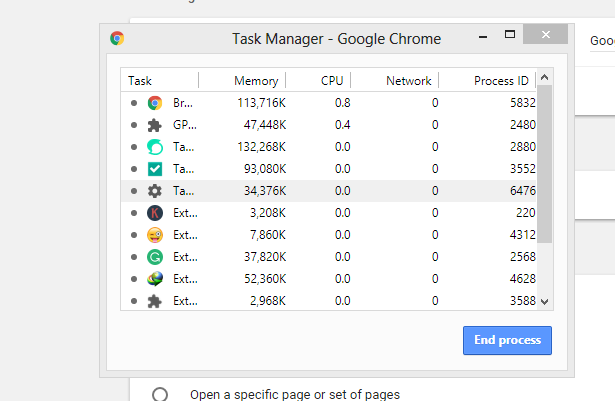 You will see the following Task manager window from where you can end unnecessary tabs and extensions running in the background to speed up your browser. Or Simply pressing Shift+Esc keys on chrome will open Task Manager. 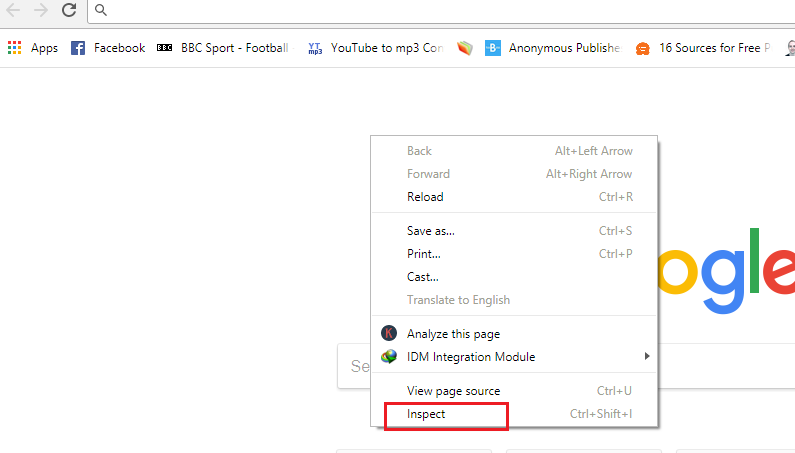 To access developer tool on google chrome simply right click and click on Inspect button. Or Find it inside More tools. Or press Ctrl+ Shift + I to open developers tool. Shrink Tabs Using Pin Tab Feature. This pin tab feature is very useful when you have too many tabs open in your browser. Working and managing too many tabs at the same time is a hassle.Sometimes they can even be closed without any knowledge. Pin Tab feature actually shrinks any tab to the size of favicon which helps to have more space for tabs. On the other hand, it Close button disappears on Pinned tabs which avoid the issue with accidental closing of browser tabs. Previous How to Install Anaconda Distribution In Windows System and Run Some Basic Conda Commands.